Rev. 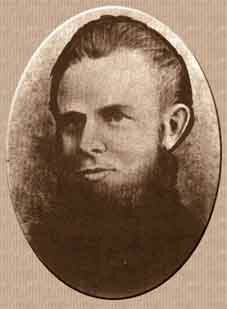 George Baugh arrived in Galle in 1864 for Missionary Educational work. Owing to zealous and preserving applications of Rev. 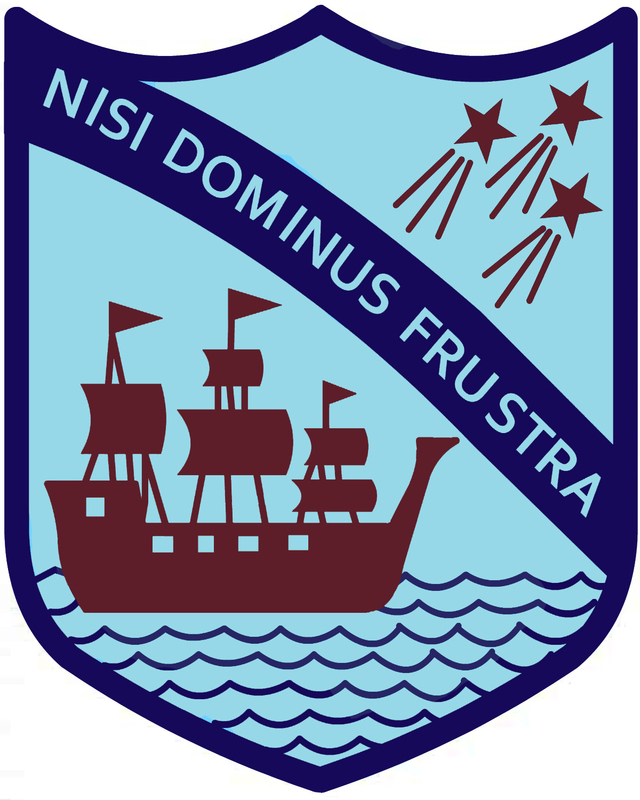 Baugh the authorities in England had decided on the establishment of a Superior School for Boys at Galle under the charge of Missionary and had made a liberal grant for erection of Building s at Richmond Hill. This District Meeting of Missionaries voted their thanks to the Committee for the generous aid and their congratulations to Rev.Baugh on the success of his plans. Six months later Rev. Baugh was transferred to Calcutta on promotion. He left Ceylon in the early months of 1877, having however had the joy of being present at Richmond’s first Prize Giving in December 1876, and at the laying of the foundation for the new Chapel at foot of the Hill. In the history of the times this record has a place, but first of all I make my boast of divine providence my portion from my youth up. I would praise my God eternally! “Through hidden dangers, toils, and deaths. It gently cleared my way and through the pleasing snares of vice, more to be feared than they.” I have often wondered why our parents told us so little of their own history, for they never told us anything of importance. It may have been because they were simple country people, who did not deem their history worth recording. My father, Thomas Baugh, and my mother, Elisabeth, thought of little but how they might earn their daily bread for themselves and their children. By trade he was a shoemaker, and my mother was a farmer’s daughter. The only thing I ever remember my father telling as of their own ancestry was that they came from Derbyshire ;my mother’s maiden name was Baker, and her family was from Shropshire. My father became the friend or was the adopted son of a Mr. Haywards, who at his death left my father a small fortune. Both parents were at Beckbury, and were married there. Friends urged my father to take a farm, but he chose to go into the hotel business, and took the “White Horse Inn,” at Shlffnal, four miles from Beckbnry. But as his property was at Beckbury, he finally settled there, in a small Public House, this was the greatest mistake of his life! All his children were born there, as the record in the family Bible showed most of them ware buried there with father and mother. We numbered eight children, four boys and four girls, born as follows, viz.i Mary, John, Martha, Thomas, George, Fanny, Elisabeth, and Edwin. So far as I know, two of us only are now living. In 1905 Martha and myself. My eldest sister, Mary, married Thomas Dulson, and left four sons named after the four evangelists, Matthew, Hark, Luke, and John. The father was asked how he would have the fifth named, if one were given him, and he replied, “I would call him The Acts.” His whole four sons, I believe, are still living. Martha married J. Shenton, and had three children George, Thomas, and Elisabeth, still living. This is an outline of all my father’s children, and grandchildren, except my own family of fourteen to bear our name, of whom four boys have gone to heaven, while very young ten are still living, I rejoice to say, 8 sons and 2 daughters. It would fill volumes to tell all of our early experiences and it must suffice to glance at a few of the most important ones only. Born and reared in a Public House, we children had often to bear hard times. It is however, gladdening to think that most or all of them had good hope in their death through Methodist influence. Even my father and mother were strong Episcopalians. I often heard my father boast that ‘good Queen Bessa and Oliver Cromwell were his ideal monarchs. Born and reared as I was, probably no one dreamed that I should ever become a preacher! From earliest days I was the subject of divine influences, opposed to all that was vile or cruel. Our mother sent us to Sunday School, and taught us to pray especially every night on going to bed. Any religion we had we owed to hen she was a good woman. It was one great disadvantage to have an immoral clergyman; the whole village knew him as such, with a kept concubine J and religions indifferences prevailed everywhere. Such were our environments! My earliest recollections are of life at the “Victoria Tavern,” on our second residence la Shiffnal. We were there but for a short time, and removed to Beckbury, the final move of our family. On leaving Shiffnal I was dressed, for the first time, in a garment combining coat and pants in one. My brothers, John and Ton, walked with me to Beckbury. I was then about five or six years old. From this, up to my fourteenth year I have a clear memory of our family life. While never reduced to pauperism, we were very poor, and all of us children had to work for what we could get, as soon as able, i.e., from nine or ten years of age. We were glad to work on a farm, winter and summer, as we had opportunity how well I remember “tending birds”, leading teams, picking stones for road making, topping and tilling turnips, until our aprons had icicles hanging on them and the wages were very small. For two or three years I was at school, where they taught “the three r’ s” only, but, learning arithmetic, I became my father’s favorite for figures, etc. When about twelve or thirteen I was, for a time, page to Lady Brldgeman, of Cotsbrook Hall sleeping at home. It was about this time that I got converted, at the Primitive Methodist preaching room, and the change was genuine. My father was greatly enraged by it. In my fourteenth year I became a groom to a Dr.Turton. of Wolverhampton, receiving as wages five pounds a year, with board and lodging $25 a year was amazing wealth to me. At the desire of my father I then returned home, to become apprenticed to one of our neighbors, an architect and builder, for four years. But now my persecution became bitterer than ever, and I had to leave home, for good my father was so severe. For the first year of my apprenticeship I got seven shillings a week, and was raised one shilling a week for each successive year so that I received about $1.50 per week for the first year and $2.50 per week for the last year. And on this I had to supply myself with all I needed. They were, certainly, hard lines, but I was never a beggar I managed. I had to live on bread, bacon, and potatoes, mostly, but I was never in debt. At the end of my apprenticeship I sprang up from $2.50 to $5.50 a week, which was riches indeed! and I began to save money, my employer becoming my banker. But my father, getting into litigation with the Squire of the village, took all my savings, twice over, and it became plain to me that if it was to prosper I must leave my native village. So I began again to save up, and as soon as I had what I thought might suffice, I got a box of tools, some suitable clothes, and started to go to Australia, where I was assured I might make my fortune. But I got no further than Liverpool. There I found plenty of work with good wages. I joined the Weslean Methodist Church, and was soon busily engaged in all such activities as came in my way until I was called upon first to become a Local Preacher, and next to study for the Ministry. In the meantime my mother had died, and while I was at college, my father died also. It was my grief mot to be at the bedside of either when they died , all I could do was to attend the funeral, and then erect a tombstone to their memory. This was in about I860, and in 1861 I was sent to Ceylon, as a missionary. My history since then is in the Wesleyan annals. Except for alcohol my father would have been a good man. I loved both mother and father, and it was a great trial to leave home. Even when I left, a little care would have secured comfort for life to all at home. Except that I saw no prospect of peace at home I should not have gone away. Our father hated Methodism! but in the end Methodism was the means of his salvation! both he and mother died in my sister Martha’s house and she was a devoted Methodist. In fact all of our family who left any evidence of being saved, owed all to Methodism in the so called “Church of England” all was lifeless farmalism (sic: formalism), and nothing else. In my apprenticeship there were no Wesleyans in my native village and I joined the “Church”, but I soon lost my religion. It was only when I left Home (in Cradeley Heath) that the backslider was restored through hearing a sermon on “the harvest is past, the summer is ended, and I am not saved.” To God be all the Praise! But I am compelled to consider myself as a very special child of Providence. The wheels of a load of coal went over both my legs, with no other consequences than a slight bruise. When a boy bathing in the Worfe stream, I fell into a deep hole, and would have drowned but for the providence of a bough growing over the stream, to which I clung until my brother Tom came to my rescue. While with Dr. Turton I was often exposed to infectious diseases- cholera, typhus fever, etc., but I was immune. Indeed, afterwards I buried a corpse that had died of smallpox, but took no harm though it was a virulent case, confluent. Indeed it has been so through all my extended life everywhere. Praised be His name. And my call to the ministry was similarly providential! utterly free from all the devising of men. When I packed up, and started for Australia, I never dreamed of any such thing, nor did I contemplate any stay in Liverpool. At old Fit Street Chapel I met with Mr. T. M. Thorpe, who became almost my second self, we were always together, when possible, until they said of us that we were “man and wife”. Both became local preachers together and both were sent to College as students for the ministry. He always said that I was his spiritual father! but he was a year my senior in the Ministry. And writing this, so long afterwards, in 1905, I cannot but see the hand of God in all my wanderings, even from my infancy upwards. Of my experiences in the Mission Field I could write volumes, but this is not my wish at present. I have always been more or less conscious of my many Infirmities, and my numberless transgressions, but God has been infinitely gracious to me that I have always felt towards Him. DEVOTED MISSIONARY DIES IN PETALUMA– Rev. 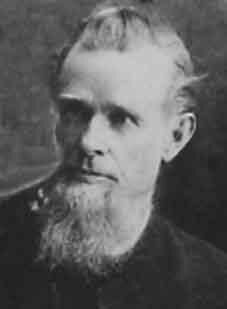 George Baugh Served Methodist Church in India for Nearly 30 years. PETALUMA, December 7. The funeral of the Rev. George Baugh, founder of the University of Galle, Point de Galle, Ceylon, and one of the most prominent missionaries of the Wesleyan Methodist ministry, who died here on Friday, will be held this afternoon at 2 o’clock from the family home, 330 Bassett Street. Dr. Baugh was 80 years old and was a native of England, where he graduated from Richmond Theological Seminary. He is survived by a widow and ten children, four of whom are graduates of the University of California, and living in all parts of the globe. Dr. Baugh had been ill but a short time, death resulting from old age. 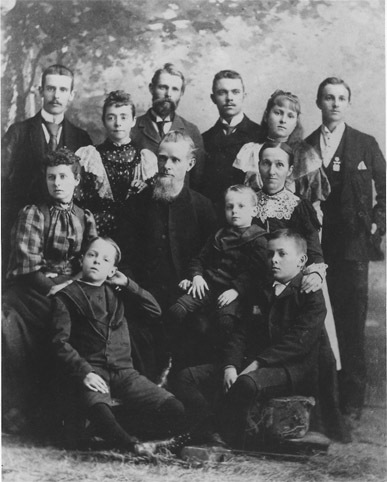 Dr. Baugh had made his home here for the last thirteen years, Previous coming to Petaluma he resided in San Francisco for a number of years, and for that the family home was maintained in Los Angeles. He was a pastor of Asbury H. E. Church in Oakland for the three years beginning in 1895. As a missionary he was for twenty seven years in the service in Ceylon and India. He built schools and churches in each of these countries in the far East, and among his notable achievements was the translation of the Bible to the Singalese language In Ceylon and into the Tamil tongue In India. After graduating from Richmond Theological Seminary in England, Dr. Baugh immediately adopted missionary work as a member of the Wesleyan Methodist ministry. He is known throughout the world for his labors in his chosen field, before leaving Ceylon, and Just prior to returning to the United States, he was located at Calcutta, India. Hugh Gordon Baugh, one of his sons, graduate of the University of California, is American Vice-Counsul at Singapore. Neville Richmond Baugh, another son, graduate of the State University, is a member of the United States Government surveying corps in the Philippine Islands. Miss Violet Evelyn Baugh, one of the two daughters, graduate of the University of California, is a missionary teacher with post at Peiking, China. Miss Baugh is one of the charter members of the Enewah Club at the university, the womens organisation founded by Mrs. Phoebe A. Hearst. Among the other surviving children are George I. Baugh, G. Ernest Baugh, Harold George Baugh, 2805 Fulton Street, Berkeley! Robert S. H. Baugh, Los Angeles John W. Baugh, Ongar, Essex, England Mrs. Lena Ulyatt, wife of Captain Ulyat of the P. & 0. Steamship Company, and Guy Baugh of this city.